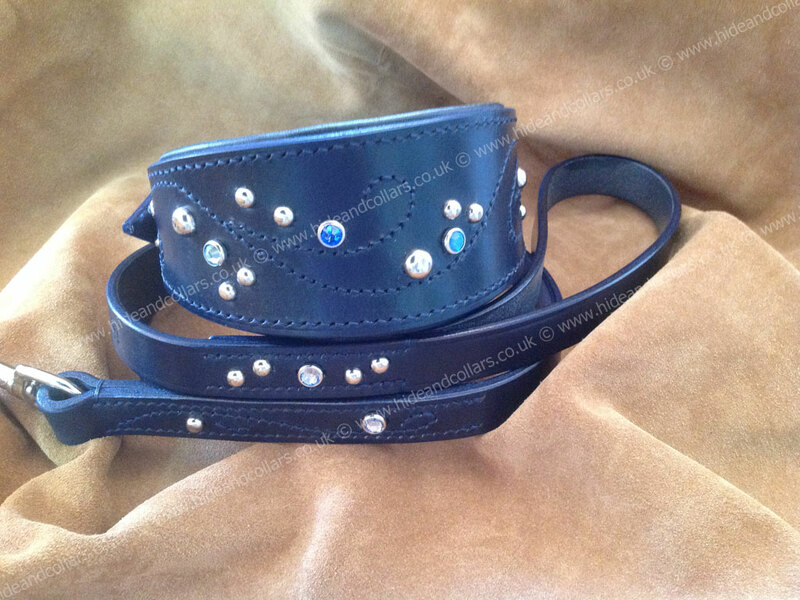 Stunning Blue Leather Collar decorated with clear Swarovski crystals and sliver dots. Lined with luxurious soft blue leather. Matching decorated lead 19mm width 19mm long.